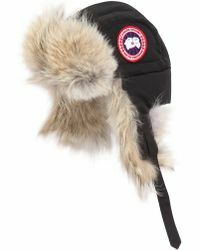 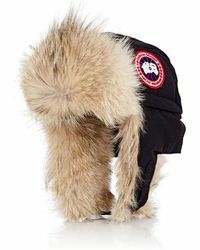 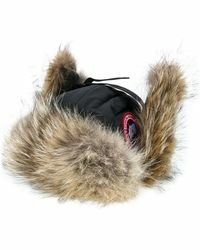 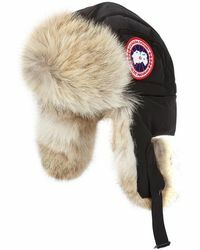 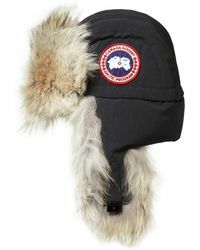 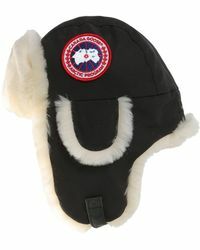 When it's cold outside, nothing will keep you warm like a Canada Goose Aviator hat. 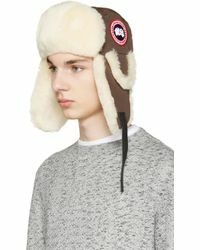 Filled with soft down and coming in a range of finishes from coyote-fur trim to leather and shearling, there's an Aviator hat for anything the weather can throw at you. 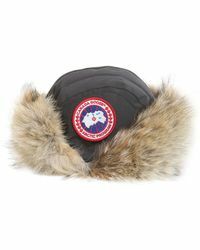 With the Canada Goose embroidered patch logo and a cinch belt to keep your hat firmly strapped to your head, the Aviator won't let a little wind or snow stop you from looking good and staying snug.